Now the way I see it, if you're actually willing to join a band of disgruntled mercenaries called the 'Suicide Squad', then you have to expect to get kicked up the backside by Matt Kindt, Rafa Sandoual, plus the Publisher: DC Comics. Or alternately, run like f*ck, in February, 2014. To QUOTE Ayn Rand: 'Every man builds his world in his own image. He has the power to choose, but no power to escape the necessity of choice'. In this issue of the 'Suicide Squad, entitled 'Up and Over', we get to see the ying / yang faction of this group, digging themselves out of a buried mountain, whilst individually reminiscing about their own origins. For instance: In one scene Power Girl moans about her Earth 2 beginnings. In another scene Steel ponders on why he felt leaving Metropolis made him better a hero. Next, Captain Boomerang says something about Bobbi-Bobbi, whilst the Unknown Solder broods about the death of his family, and how this tragedy made him into the merc he is today. 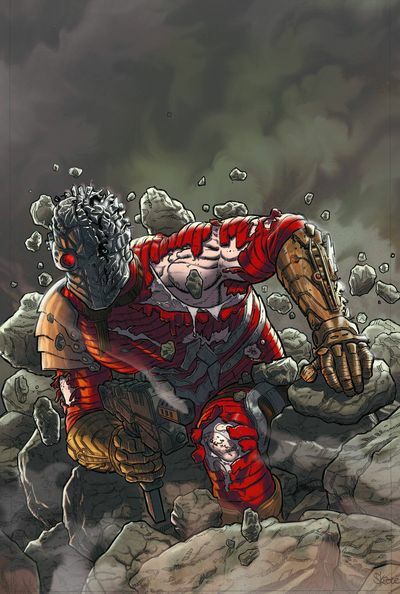 And as for Deadshot and Warrent... well... BANG-BANG! Overall I'd say this issue of the 'Suicide Squad' was a fairly good read. It was nothing outstanding, mind you. At the end of the day all it accomplished was to get the 'buried squad' back into action again, whilst relaying a number of origin stories in the process. Having said that, though, I did get a kick out of reading some of these origins -- minus Diggers -- mainly because their personal tone enhanced a fragmented tale relating to why 'Person A', was doing 'Situation B', during this particular point in time. Also, I have to applaud Rafa Sandoual on his rather bold yet atmospheric artwork. Honestly. I thought his style complemented Matt Kindt's narrative very-very well. And on occasion, his etchings actually managed to elevate the mood of this story in more ways in one. Like the apparent expressions on the character's face's for example. Or the temperamental shading that went in sink with the hue of the scene. My main gripe with this story would have to be that whole scenario where... coff-coff... told his origins, even though... sniffle-sniffle... shot him dead afterwards. Well, let's face it. Why go to all that bother of telling a tale when at the end of it, it felt rather redundant within the scheme of things? I mean, wouldn't it have been a lot more productive of kill... coff-coff... beforehand? Just so we can have some more 'page time' for the actual story-line! Not only does this comic book remind me a little bit of the 1972 classic, 'The Poseidon Adventure', but I also feel the rhapsodic music played at the end of this flick, would complement this story by adding a tinge of suspense to it. In my eyes this adventure is like a bag of liquorish allsorts. 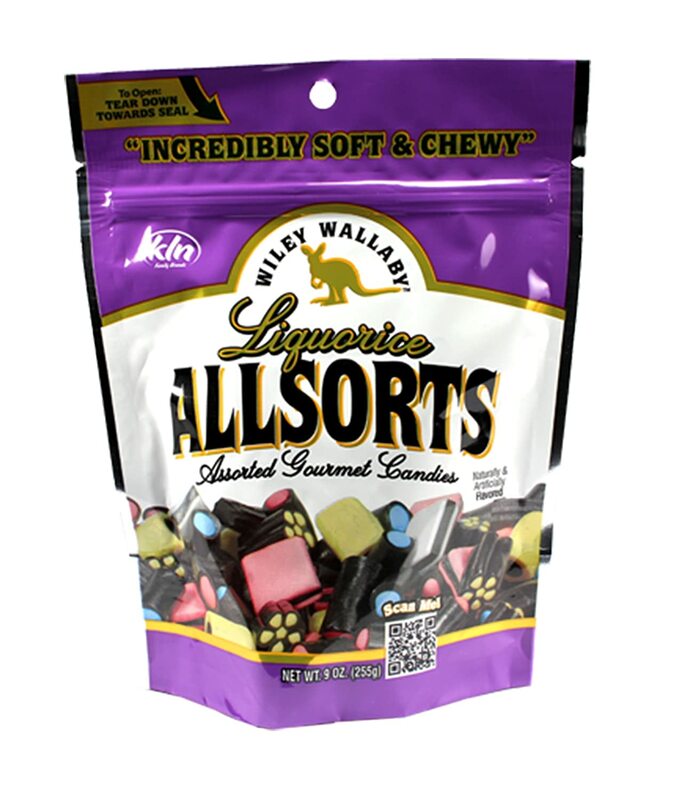 Or for that matter, it could also be compared to any other mixed bag of assorted sweets you can care to mention. Parts of it were good. Parts of it were bad. Parts of it were bitter. Parts of it were sweet. And parts of it were... hmmm... mixed to say the least. I wonder why this issue of the 'Suicide Squad' told origins stories pertaining to the good guys within the team. No. It can't be that! Surely DC wouldn't be silly enough to add proper superheroes to the roster! That concept would totally pollute this book more than they've done so already! You know. What with Waller turning in Naomi Campbell, whilst Harley Quinn does the splits -- nah -- that would never work. That would never work at all because heroes don't normally go for suicidal quests. Well, expect for that time Roy Harper joined the team back in the day. And so did Vixen too for that matter. Plus Batman. Kind of. Ish. But what would adding more than one hero to this series do to it next? Would it be a good thing or a bad thing? Plus why do it here -- now -- at the present moment in time? When the current team's dynamics haven't been finalized yet? Whilst it's imminent cancellation is looming on the horizon!